Easily power your device through the mains socket. CE APPROVED . LED power indicator. Connection: UK 3-pin sockets. Output: DC 5V 580Ma. Input: 100-240V 50/60Hz. New generic Charging Cable for Nintendo Dsi / NDS Lite. Nintendo: 3DS, DS Lite, DSi, DSi LL / XL. 1 x Black 2 in1 USB Charging Cable. Plugs into computer USB port. Never run out of power again. Easily power your device through the mains socket. LED power indicator. Output: DC 5V 580Ma. Connection: UK 3-pin sockets. Easily power your device through the mains socket. CE APPROVED . LED power indicator. > Nintendo: 3DS, DS Lite, DSi, DSi LL / XL. > New generic Charging Cable for Nintendo Dsi / NDS Lite. > 1 x Black 2 in1 USB Charging Cable. > Plugs into computer USB port. > Never run out of power again. 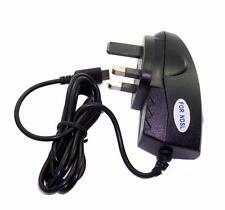 This is a the USB Charging Power Cable, For Nintendo DS NDS Lite NDSL. USB Transfer Cable transmits the data between computer and NDSL console. Compatible: for NDSL. 1 x USB Charging Power Cable for NDSL. Nintendo DS Lite. Nintendo DS. 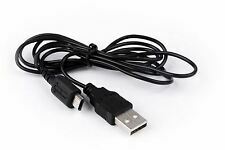 USB charging cable compatible for Nintendo DS Lite. Nintendo Wii. Nintendo Wii U. Nintendo DSi XL. Nintendo 3DS. Nintendo 3DS XL LL. Nintendo: 3DS, DS Lite, DSi, DSi LL / XL. 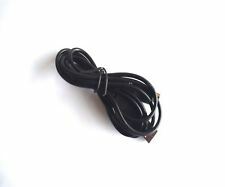 New generic Charging Cable for Nintendo Dsi / NDS Lite. 1 x Black 2 in1 USB Charging. Plugs into computer USB port. Never run out of power again. Nintendo DS, DSI, 3DS & 2DS. For Nintendo DS / DS lite. Nintendo GB, GBC, GBA(sp), GBP. Nintendo N64. Nintendo NES, SNES. Nintendo Wii / U. Official Genuine 3 Pin UK. AC Power Adopter. I will happily work with you if you are unsatisfied with. Even if you are local to my location. Options on checkout. Quicker then 2. 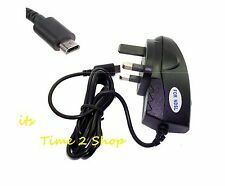 Official Nintendo DS / DS lite AC Charger For Nintendo - 3 Pin UK. Condition is Used. Dispatched with Royal Mail 1st Class. Easily power your device through the mains socket. Connection: UK 3-pin sockets. We will resolve any possible problem or accident for you as soon as possible. Output: DC 5V 580Ma. 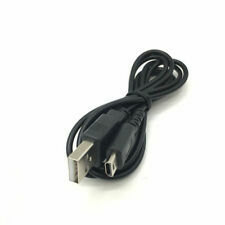 New generic Charging Cable for Nintendo Dsi / NDS Lite. Nintendo: 3DS, DS Lite, DSi, DSi LL / XL. Never run out of power again. 1Piece USB Charging Cable. - Cord Length: 1.2m / 4feet. - Size: 1.2m/4ft. COMPATIBLE FOR NINTENDO DS LITE NDSL DSL. The mode is fully compatible with NDSL (Not for NDSi). Protection & overcharging cut off circuit. This bright LED that indicates the charging status of the battery. Compatible with : Nintendo DS Lite NDS NDSL DSL. Nintendo DS Lite. Nintendo DS. Not compatible with Nintendo DSi / NDSi or Nintendo 3DS,check pin before buying. Nintendo Wii. Nintendo Wii U. Nintendo DSi XL. 1Piece USB Charging Cable. - Cord Length: 1.2m / 4feet. 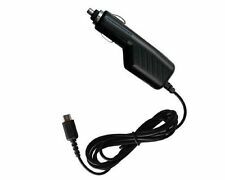 12v Power Adaptor. Cable length 1.5m. Suitable for Nintendo DS Lite. Nintendo Console Accessories. High speed USB 2.0 interface. Colour - Black. 1Piece USB Charging Cable. - Cord Length: 1.2m / 4feet. I am sure it the right thing you need now. 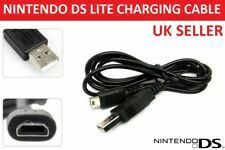 New generic Charging Cable for Nintendo Dsi / NDS Lite. Nintendo: 3DS, DS Lite, DSi, DSi LL / XL. Plugs into computer USB port. Never run out of power again.